The pioneer of 4G communication services in India, Bharti Airtel has recently announced its collaboration with another giant in the communication industry Reliance Jio Infocomm. Both these companies will share each other's infrastructure for providing better and faster services to their customers across India. Reliance is the only company which holds a pan India 4G license but their services are in testing phase, whereas Airtel has already launched 4G services in certain circles. In such a scenario, the partnership, an unprecedented mega deal, is a win-win situation for both the parties, as they have agreed to share optic fibre network, submarine cable networks, towers and internet broadband services and other such opportunities in the future. Ganesha takes a look at the Kundali of Bharti Airtel and Surya Kundali of 4G telecom services in India to find out if the road ahead is smooth for Bharti Airtel 4G Services or not. Bharti Airtel Limited's (foundation date 07/07/1995) Ascendant is Leo and Mars, which is the Lord of 4th House and 9th House, is posited in the Ascendant. Mars invigorates and makes the staff members more energetic. However, the planetary positions also suggest that the management may take some stern and aggressive actions to restore normalcy in the organization. Lord of the House of Finance and Gains is Mercury, and its position in Bharti Airtel Limited's chart speaks a lot about the fortunes of the company. Mercury, the significator of telecommunication, is Swagruhi (in its own House) in the Horoscope of Bharti Airtel Limited. The company deals in services like prepaid and postpaid mobile calling cards, broadband internet, mobile phone connections, GSM Mobile services and Direct to Home (DTH), which are highly influenced by Mercury. Swagruhi Mercury creates positive energy that will invite business and help the company improve its trading activities remarkably. Besides, Venus and Sun are in conjunction with Mercury, and according to Ganesha this particular planetary combination brings profit yeilding trade contracts and assignments for the company. 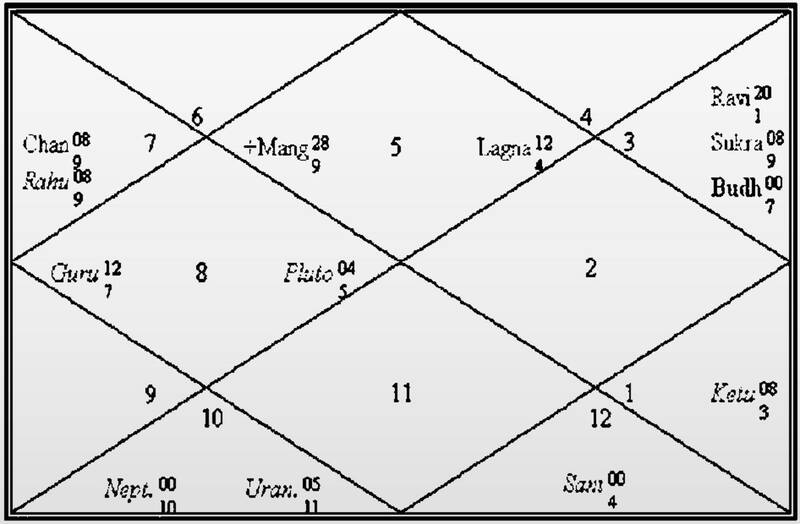 Rahu and Moon are in conjunction in the 3rd House, creating Rahu-Chandra Grahan Dosha. The position of Moon in the 3rd House is generally considered auspicious. Moon in 3rd House indicates improvement in working conditions of the employees. It also enhances communication skills of the reporting staff. The relation between the management and workers is healthy and cordial. 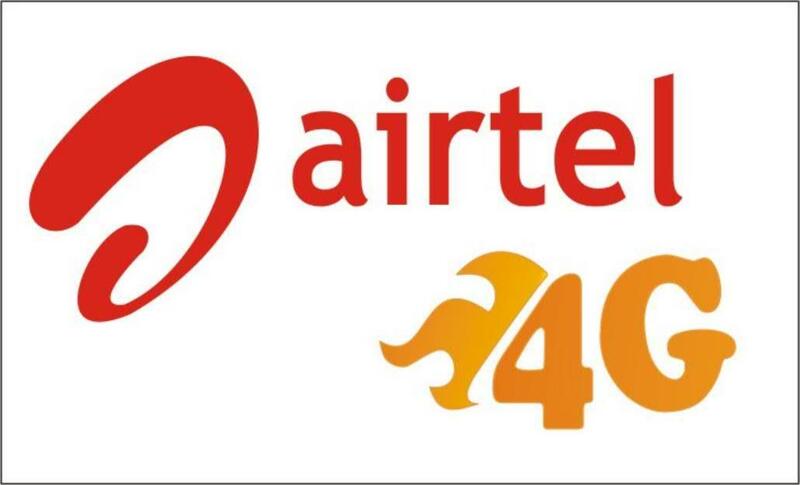 Airtel launched 4G services in Kolkata on 10th April 2012. As per the Surya Kundali, Mercury is in the Ascendant and in its Sign of debilitation. Since Mercury, Lord of the House of Communication, is weakly posited, it does not provide any strength to the chart. Besides, retrograde Saturn and Mars, Chandra-Rahu Grahan Yoga and conjunction of Venus-Ketu are making the Surya Kundali even weaker. There are some similarities between kundali of Bharati Airtel and Surya Kundali of 4G. Both the kundalis have Chandra-Rahu Grahan Yoga, Saturn in the 8th House and Mars in Leo. However, Mercury is posited differently in both the charts. Mercury is strong in the Kundali of Bharti Airtel, whereas in the Surya Kundali of 4G it is devoid of any strength. Ganesha feels that the planetary transits are likely to benefit Bharti Airtel, but considering the planetary positions and ongoing Dasha-Mahadasha in its kundali, it is not going to be a smooth sailing for the company. Nevertheless, it is not going to be an extremely tough journey either, since Jupiter is providing a much-needed support to the kundali. If strategies are designed carefully, they will bring good results for Bharti Airtel. Infrastructure Sharing is still a new concept in huge Indian business conglomerates, but this one surely promises a new trend. Not to say the business scenario is changing, and that too at a stupendous pace. The changes shall be palpable all across, even in the smaller and small to medium size units. Is your business prepared to deal with these changes? What will your stars augur for your business in the coming years? Is a major business decision looming large on the horizon? Consult stars! Ask a Business Question OR get a detailed 5 years Business Report and fail proof your biz strategies!